Monmouth Junction, NJ Saxophone Lessons Near Me | Fun Classes. Top Teachers. All levels all styles. Learn to play with a group and solo and harmonize with anyone.. I play and teach alto, tenor and baritone saxophone. I focus on getting my students to play in tune. Tone production is the first step. If you have a good tone people will listen to you. I work with tuners continually. My students are able to sound good immediately and that is crucial in their development. I have over thirty years of experience as a teacher in both public and private schools. Award winning musician, educator, recording artist and leader in the vanguard of musical inspiration is now available for private study. With over 25 years of Global performing and teaching experience from high school to university level, several slots have recently opened up allowing a small intake of new students. Find your unique, personal musical voice through improvisation and the world of creativity. This approach is tailored to suit the individual’s personal goals with the whole musical spectrum being embraced. Barriers are removed, pathways to development are nurtured and labels are avoided. All ages and all levels are accommodated with the only requirement being enthusiasm and a genuine desire to learn and improve. 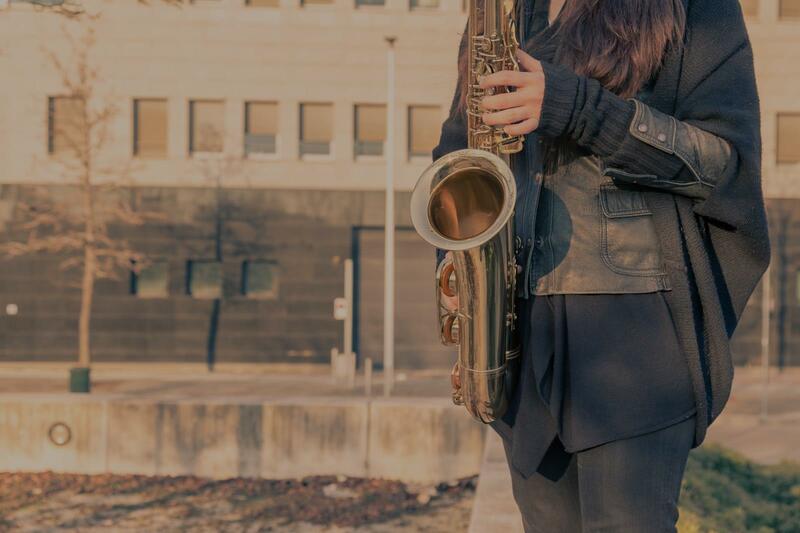 Many former students have received NEC, Berklee, Manhattan School of Music and New School scholarship admissions. Johnny Lippiett is an award winning musician, educator and recording artist. A regular on the international jazz circuit for over two decades now, he has established himself as a thrilling saxophonist who layers electrifying improvisation atop a foundation of modern jazz. Complementing his success as a jazz artist, he lectured in saxophone and related studies at The New Zealand School of Music, from 1999-2007. Post Graduate teaching qualification in jazz education (1998). After moving to NZ in 1999, Johnny quickly became established as one of the most respected and in demand musicians as well as becoming a clinician for Selmer saxophones. He was regularly featured at many international jazz festivals and divided his time between London and Wellington. His contributions to the NZ jazz community proved to be invaluable and his instruction of important young jazz talent offered an impressive compliment to his artistic efforts. In 2006 he was awarded a Master of Music degree in saxophone performance and he continues to foster critical acclaim along with an ever increasing fan base through industry awards, live performances and studio recordings. Since 2007 he has lived and worked in New York and his recent CD 'Soulscape' featured the All-star rhythm section of Billy Drummond, Mike Eckroth and Ron McClure. or a novice like myself :) His lessons are fun, his rates are reasonable, and he truly puts his heart into teaching process. Every time I walk out from his lesson feeling I've progressed one step further. Highly recommended." ter his first lesson he could already play a song. Max is passionate and inspires and motivates his students, and his lessons are well planned out. Besides being a great teacher, he is also an amazing saxophone player! I now also have my younger daughter learn to play clarinet with Max, and she also loves her lessons." to lack of affordable and qualified teachers so I'm very glad I finally found a teacher who's very patient and kind like Matt 5 stars all the way!" music. I would highly recommend." "John is very nice and patient teacher." New York, NY teacher: John O.
patience and methodology has given me the confidence to pursue this hobby further. "Very knowledgeable about the instrument and knows how to teach it in a way that I can retain the information, he's the best!" "Very patient and explains well"
New York, NY teacher: Jerry Y.